Our roofing contractors only work on one job at a time in Orillia, ON, so each customer receives personalized and individual attention. The roof on your home or office building keeps out cold and hot air, rain, pests, animals, and other things that pose a threat to your family and/or staff members. If you experience a problem with your roof, it is always best to get it repaired as soon as possible to lessen the damage to your possessions, drywall, flooring, and other things that can easily become damaged by water. There are a number of roofing companies throughout the Orillia, Ontario area, so how can you know which one will be the best option for your specific needs? 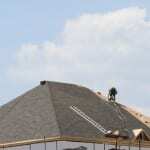 At Slippery Slope Roofing, we have experienced roofing contractors on our staff who are available to help you from start to finish. Each of our team members is insured with WSIB, and our company is accredited by the Better Business Bureau. Our owner and foreman have more than five decades of combined experience in the industry and will make sure that each job is done correctly and in a timely fashion. Unlike other companies, who tend to take on as much work as possible, our roofing contractors only work on one job at a time so that each customer receives personalized and individual attention. If you have any questions for our roofing contractors, don’t hesitate to give us a call. We are available from 8 a.m. until 8 p.m., Monday through Friday. We also have some appointments available on Saturdays and Sundays for those whose schedules don’t allow for weekday work. At Slippery Slope Roofing, our roofing contractors proudly serve Barrie, Orillia, Bradford, Alliston, Newmarket, Cookstown, Beeton, Innisfil, Angus, Collingwood, Wasaga Beach, Oro-Medonte, Midland, Midhurst, New Tecumseth, Clearview, Bradford, Essa, Stayner, Springwater, and surrounding areas of Ontario.